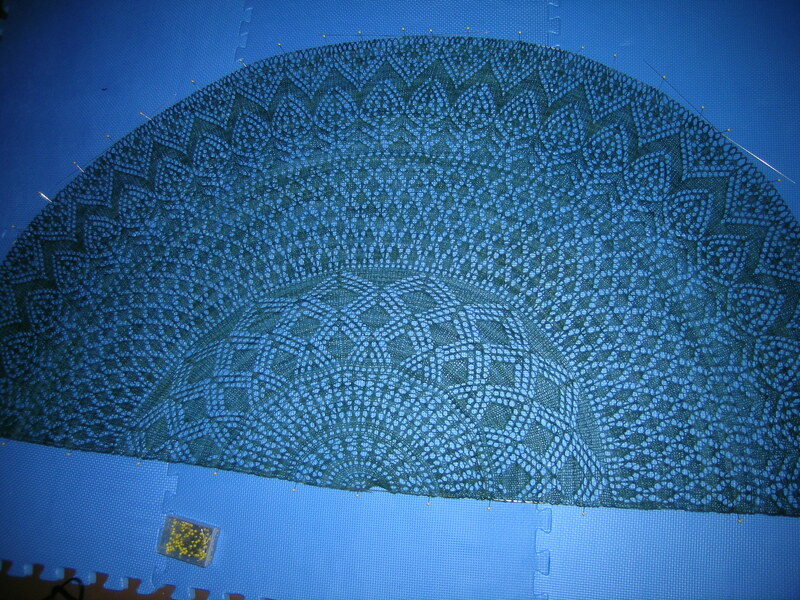 I finished and blocked the Vernal Equinox Shawl, a free pattern available here. It is very light and lacy. 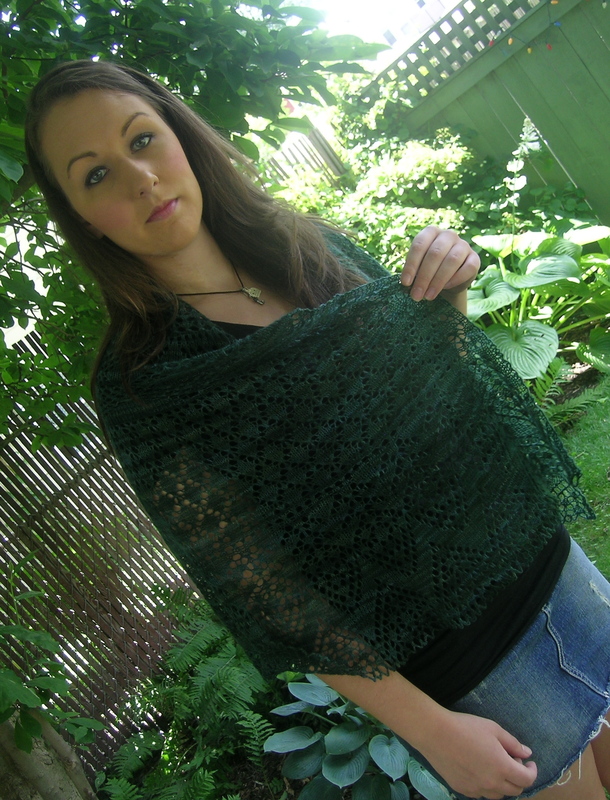 I love the Malabrigo lace. And with the crocheted border on. 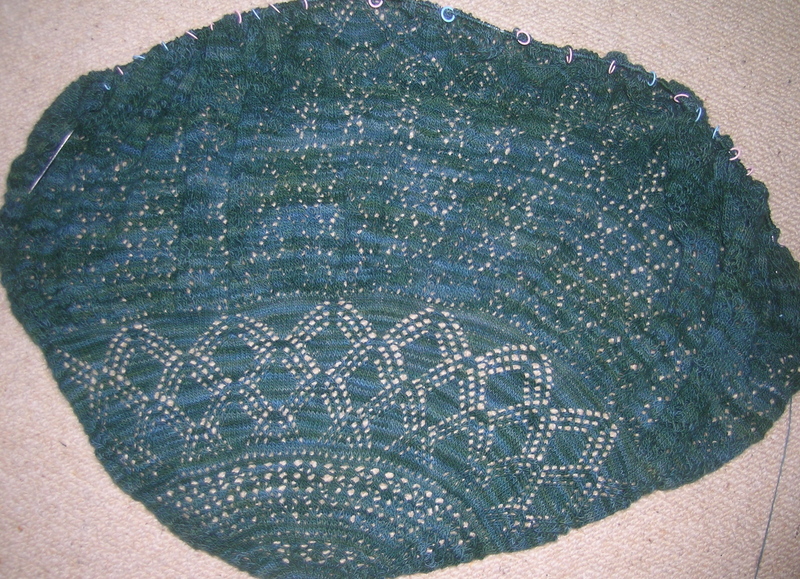 I am glad that I did the crocheted instead of the knitted border, as I like the lacy edge. 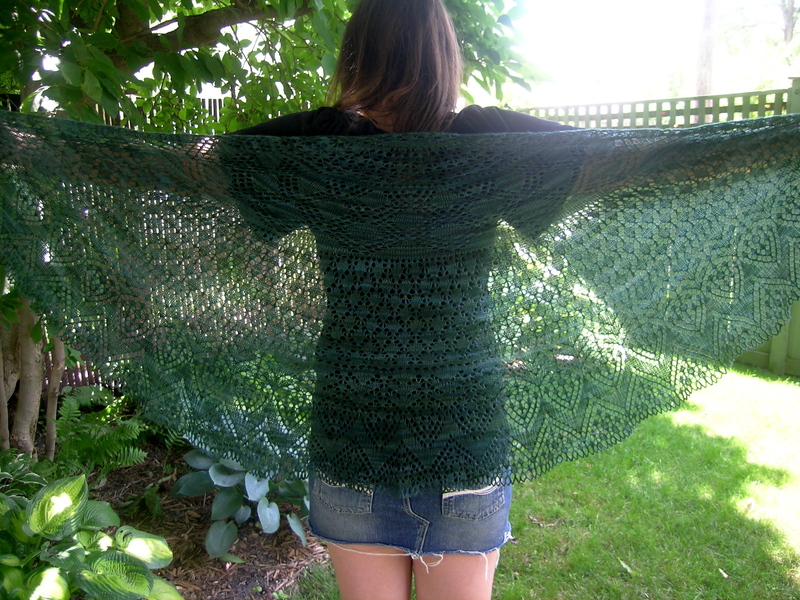 It was a bit finicky due to the silky nature of the yarn. The pattern for the bind-off was very easy to memorize, so there wasn’t a chart that I had to keep on hand. Took just a couple of hours. 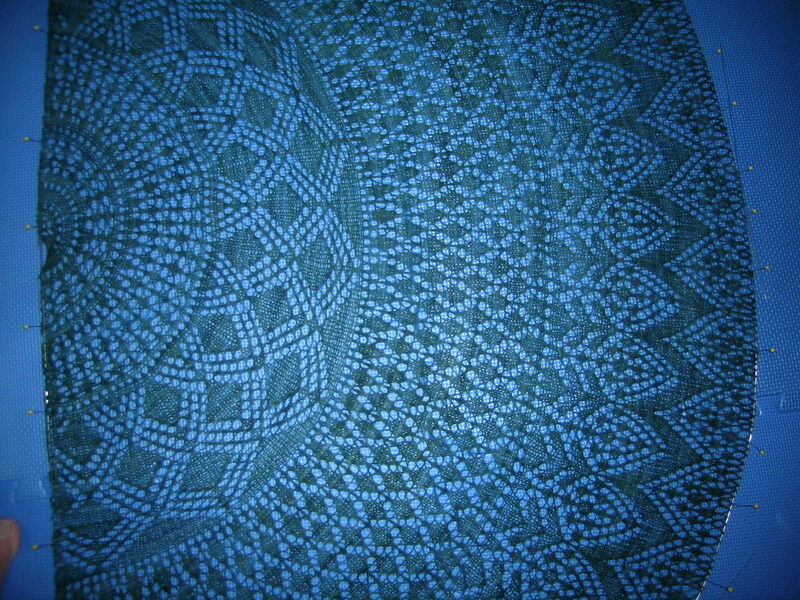 And blocking. I originally started by pinning each crocheted loop separately. I realized that it was quicker and smoother to run blocking wires through the loops. 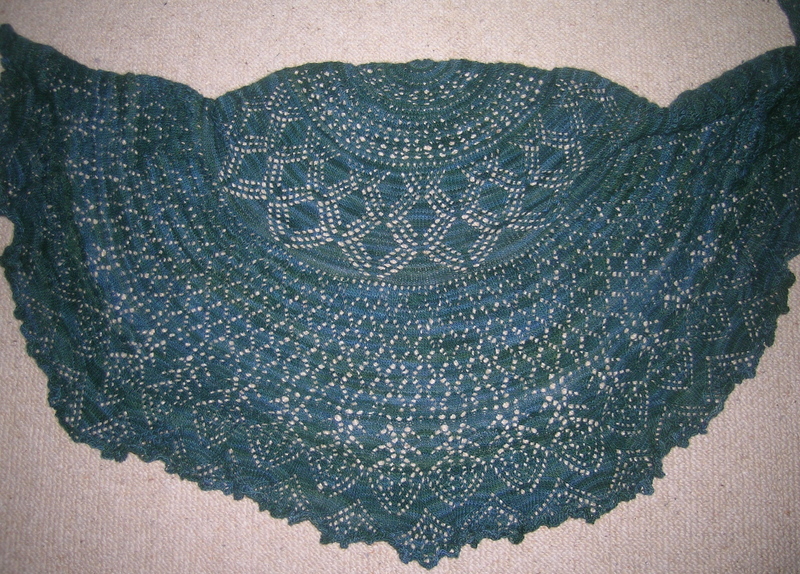 That also made it easier to stretch out the shawl. On my new blocking boards. They work wonderfully!